Luxury bathrooms must be amongst the top 5 (top 2?) indulgences that most of us wish for in our dream home. And when it comes to holiday accommodation, a beautifully appointed or imaginative bathroom will make us feel extra spoilt and pampered. Spaciousness;- having those extra square feet to be able to bring in decorative and generously proportioned elements, rather than having to stick to the bare necessities. And, with having an abundance of space available, comes the opportunity to have his and hers areas - to whatever extent you wish. The latest in bathroom gadgets;- toilets with heated and automated seats, rain or pulsating showers and tubs fitted with LED lighting that changes the color of the water (and the mood in the bathroom) etc., etc. 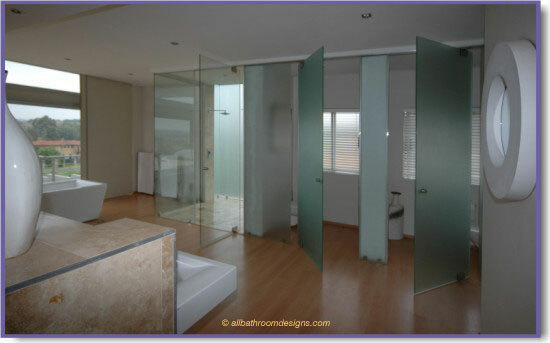 A touch of magic and imagination in the bathroom design;- a move away from the ordinary, a bit of cheek and daring and a freedom to experiment with the unusual. A pampering of the senses;- a richness of color, textures, sheer opulence and a luxury of materials - whatever your interpretation of that may be. A totally private space;- yet having an abundance of natural light and the movement of fresh air on your skin - even being part of the outdoors when you so choose. And, does having a big budget necessarily translate into the world's best bathrooms? You tell us! And better yet, you can show off your luxury bathrooms. Share your thoughts behind the design and what served as inspiration for the color scheme or materials. 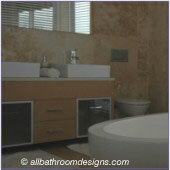 Which part(s) of your dream bathroom do you absolutely adore - or what would you have done differently. Perhaps you stayed at 5 star hotels with fancy bathrooms to die for. What made them so special? Do tell! 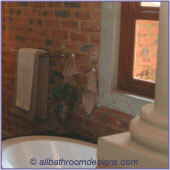 Write your reviews on why you consider it one of the Must See Great Bathrooms. 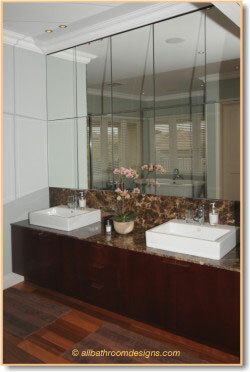 Everyone loves taking a look at beautiful, luxury bathrooms! Do share your own dream bathroom or review some of the world's best bathrooms that you encountered on your travels. And of course - a picture is worth a thousand words - so do try to add one. Do you have pictures to add? Great! Click the button and find it on your computer. Then select it. Feast your eyes on the Luxury Bathrooms (and even Famous Bathrooms) already submitted by our visitors. Click on the headlines below to view the pages.